There is nothing quite like the positive energy found in a venue full of “people-first” companies – employers who all share a common belief that their employees play an integral role in the success of their thriving business. While employers who truly value and acknowledge the needs of their employees are a special breed, we were fortunate enough to host a packed house of such organizations and leaders at the Bay Area Healthiest Employer Event in September. This special gathering is an annual event dedicated to showing how companies are Creating A Culture of Wellness and highlighting innovative ways in which they are extending their programs to focus on total employee wellbeing. What made this even more exciting was that it was preceded by our own annual Sequoia Tech client event, “The Grove 2018”, a gathering of mutually people-focused and innovative companies who have leveraged the Sequoia Tech benefits solution and industry leading Sequoia Mobile App to provide an elevated benefits and wellbeing experience to their employees. Pairing these events gave us the unique opportunity to unite two special groups, with both the Healthiest Employers and Sequoia Tech clients joining together after the event to socialize at the WellBeyond ‘18 Reception, where over twenty of the industry’s most innovative wellbeing vendors shared resources and aided in the continued discussion of effective wellbeing strategies. Wellbeing Trend #1: The definition of “wellness” has expanded beyond physical health. Traditionally, wellness programs have focused primarily on physical health; however, with a growing increase in the need for resources surrounding mental health, financial education, and general family support, we are seeing many companies shift the focus to acknowledge the needs of the whole individual. It is clear that companies are seeing the impact that promoting total wellbeing has on their employees, and likewise, the even greater impact it has on the organization’s success. While 88% of organizations cited physical wellbeing as a continued focus, 77% see the need for expansion to emotional wellbeing and 53% cite a shift to financial wellbeing as well. Employee happiness and culture rank as the #1 factor in how companies shape their wellbeing programs. Recruiting and retention also play a big factor, ranking #2, as to how their programs are shaped. It is evident that wellness programs that are aligned and executed properly can become a part of their company’s core values and brand. Accurately measuring and analyzing your benefits programs are as important as the programs themselves. We found most companies are measuring the success of their wellbeing programs, though through a variety of different methods. Seventy-two percent of companies are utilizing employee feedback or satisfaction surveys and 68% of companies are focused on observing actual employee engagement in the programs. In this evaluation, companies are seeing results ranging from cultural improvements, like increased participation in mindfulness programs and wellness task forces, to significant clinical health changes, such as decreases in diabetes and heart disease claims and fewer hospital visits. These organizations looked at not just who is using each program but analyzed why a program may be underutilized. While the methods for measuring success vary, the consensus appears that the most powerful program metrics were those that helped inform leaders of target areas to incorporate into future planning. These powerful discoveries created new and revised ways of distribution and roll-out of programs, as well as helped them better project future program costs. Another micro-trend within the measurement of success was the use of technology, with many companies replying on programs delivered through mobile apps. Not only does this allow for greater insights into employees’ behaviors and needs, putting that information in the hands of the right people at the right time can drive better real-time decision making. Paired with the ability to compare your company’s findings against industry benchmarks, such as sources of care and timeframes, this powerful data and insights truly become a powerful measurement of program success. I continue to be inspired by the work of so many companies promoting healthy working and living. As we believe, your employees work hard for you, so their benefits, perks and wellness programs should work hard for them. Looking for more resources for your own programs? 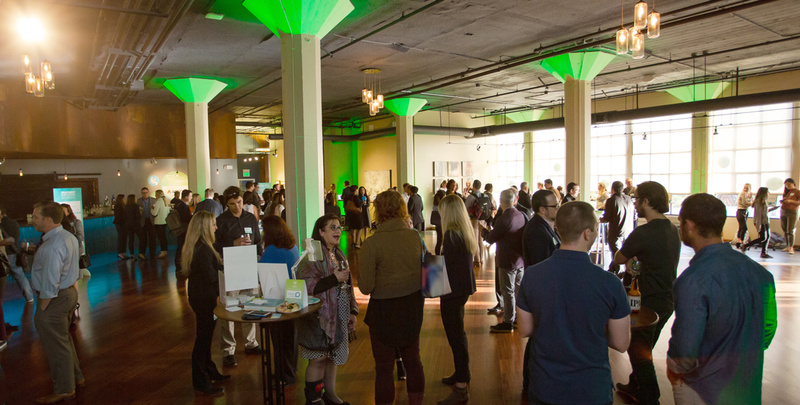 Connect: To continue to elevate your employee experience, check out our Wellbeing page and some of these innovative vendors who attended our event like Amino, One Medical, Springbuk and Anthem. Network: Join us to engage in further thought-provoking discussions at our ongoing Sequoia Thought Leadership live event series, which features customers and industry experts, the last Wednesday of every month. Kaleana Markley – Kaleana is Director of Wellbeing at Sequoia Consulting Group.